This conflict is part of a regional power struggle between Iran and Saudi Arabia. The Saudis are bombing Yemen in order to defeat the Houthi rebels, who have been resisting government repression for a long time. Iran has been accused of supporting the Houthis, although Iran denies this. Yemen is strategically located on a narrow waterway that links the Gulf of Aden with the Red Sea. Much of the world’s oil passes through this waterway. A United Nations panel of experts concluded in October 2015 that the Saudi-led coalition had committed “grave violations” of civilians’ human rights. 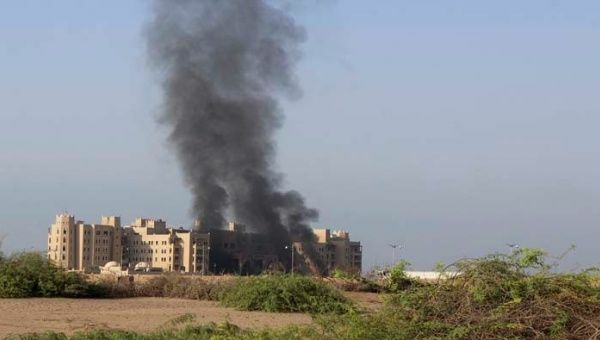 They include indiscriminate attacks; targeting markets, a camp for displaced Yemenis, and humanitarian aid warehouses; and intentionally preventing the delivery of humanitarian assistance. The panel was also concerned that the coalition considered civilian neighborhoods, including Marra and Sadah, as legitimate strike zones. The International Committee of the Red Cross documented 100 attacks on hospitals. Saudi Arabia is also engaging in serious individual human rights violations. In January 2016, the Saudi government executed 47 people, including a prominent pacifist Shia cleric, who had been a leader of the 2011 Arab Spring in Yemen. Also in January 2016, Palestinian artist and poet Ashraf Fayadh, a Saudi citizen whose family is from Gaza, was sentenced to death by beheading. 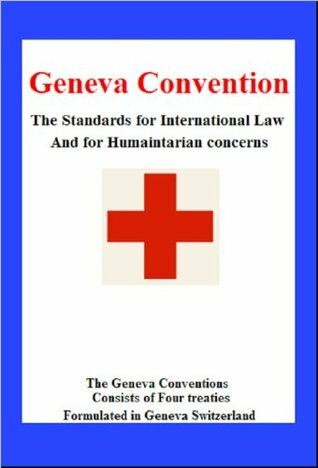 Both Saudi Arabia and the United States are parties to the Geneva Conventions, which define as grave breaches willful killing, willfully causing great suffering or serious injury to body or health, and torture or inhuman treatment. Although neither the United States nor Saudi Arabia are parties to the Rome Statute for the International Criminal Court, that statute sets forth standard aider and abettor liability provisions. The U.S. government is the primary supplier of Saudi weapons. In November 2015, the U.S. sold $1.29 billion worth of arms to Saudi Arabia. 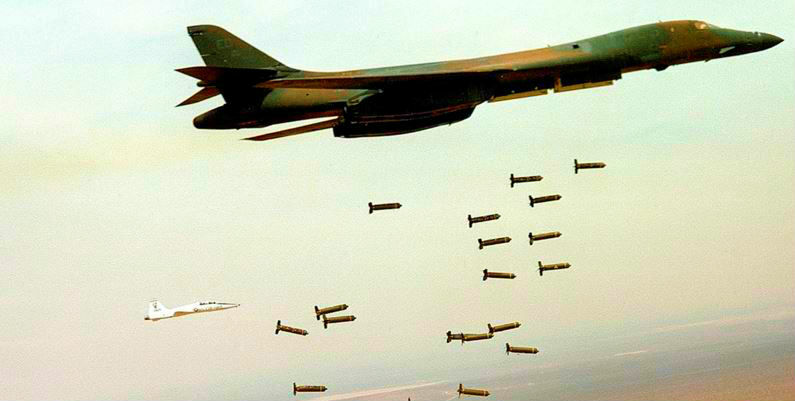 It included more than 10,000 bombs, munitions, and weapons parts manufactured by Raytheon and Boeing, as well as bunker busters, and laser-guided and “general purpose” bombs. A month earlier, the United States had approved a $11.25 billion sale of combat ships to Saudi Arabia. The U.S. also provides intelligence and logistical support to the coalition. During the past five years, the U.S. government has sold the Saudis $100 billion worth of arms. These sales have greatly enriched U.S. defense contractors. Why has the United States “usually looked the other way or issued carefully calibrated warnings in human rights reports as the Saudi royal family cracked down on dissent and free speech and allowed its elite to fund Islamic extremists,” in the words of New York Times’ David Sanger? “In return,” Sanger writes, “Saudi Arabia became America’s most dependable filling station, a regular supplier of intelligence, and a valuable counterweight to Iran.” Saudi Arabia, and close U.S. ally Israel, opposed the Iran nuclear deal. In April 2015, the U.S. government prevented nine Iranian ships loaded with relief supplies from reaching Yemen. President Barack Obama also sent an aircraft carrier to the area to enforce the Saudi embargo on outside supplies. Firefighters attempt to extinguish a fire at a foodstuff storage facility destroyed by a Saudi-led air strike in Yemen’s Red Sea port city of Houdieda January 6, 2016. President Barack Obama also sent an aircraft carrier to the area to enforce the Saudi embargo on outside supplies. According to UN estimates, 21 million people lack basic services, and over 1.5 million have been displaced. UNICEF notes that six million people don’t have enough food. Moreover, the U.S. government seeks to prevent scrutiny of Saudi human rights abuses in Yemen. Sen. Patrick Leahy (D-Vt.), for whom the law was named, told Foreign Policy: “The reports of civilian casualties from Saudi air attacks in densely populated areas [in Yemen] compel us to ask if these operations, supported by the United States, violate” the Leahy Law. The Arms Trade Treaty obligates member states to monitor exports of weapons and make sure they do not end up being used to commit human rights abuses. Although the U.S. has not ratified the treaty, we have signed it. Under the Vienna Convention on the Law of Treaties, a signatory is prohibited from taking action inconsistent with the object and purpose of the treaty. The U.S. government should immediately halt arms transfers and military support to Saudi Arabia and support an independent investigation into U.S. arms transfers and war crimes in Yemen. The United States must stop participating in and call for an end to the de facto blockade so that humanitarian assistance can reach those in need, engage in diplomatic efforts to end the conflict, and ratify the Arms Trade Treaty. In an interesting twist, the Saudis contributed $10 million to the Clinton Foundation before Hillary Clinton became Secretary of State. In 2011, the year after the State Department had documented myriad serious human rights violations by Saudi Arabia, Hillary oversaw a $29 billion sale of advanced fighter jets to the Saudis, declaring it was in our national interest. The deal was “a top priority” for Hillary, according to Andrew Shapiro, an assistant secretary of state. Two months before the deal was clinched, Boeing, manufacturer of one of the fighter jets the Saudis sought to acquire, contributed $900,000 to the Clinton Foundation. Hillary now says the U.S should pursue “closer strategic cooperation” with Saudi Arabia.